Are you looking for a wooden floor lamp to enlighten your interior? This wooden floor lamp industrial white or black 175cm H is a gain for an industrial interior and can be ordered in 2 colours at my My Planet LED. 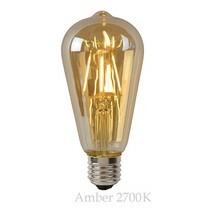 We are one of the biggest online LED light shops and we deliver your order as well nationally as internationally. Our customers say we provide an excellent personalized service! 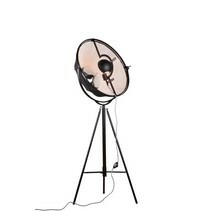 This wooden floor lamp has an industrial look and can be obtained in white or black. It has an adjustable arm in wood, strengthened in the middle and with a height which varies from 145cm to 175cm. You can buy the lamp shade in white or black. It has a diameter of 30cm and a height of 27,5cm. 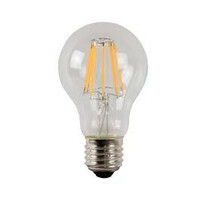 In the lamp shade fits an E27 lamp (which you can also order in LED in our shop). 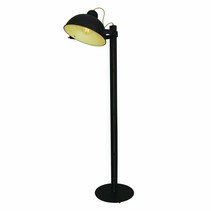 You can buy this wooden floor lamp industrial white or black 175cm H at My Planet LED. You can choose yourself the payment method. The possibilities are large and you can pay in a secure environment. Do you have more questions? 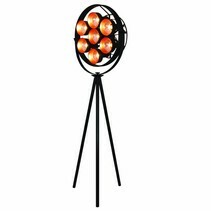 Do not hesitate to mail us (info@myplanetled.com) or contact us by phone (+32) 57 466 866 in order to obtain more information about this wooden floor lamp industrial white or black 175cm H.